BT announced today that it had recruited another 50 people at its busy national distribution centre in Northallerton – taking the total workforce at the depot to more than 150. And further recruitment is planned with the company due to introduce a traineeship programme and to take on more apprentices. The latest boost to the workforce of 50 full time warehouse staff makes the North Yorkshire depot BT’s second largest UK supply chain facility, responsible for processing and distributing more than 22,000 electronic devices per day. Broadband hubs, BT Vision boxes, phones and other vital devices make their way to homes and businesses throughout the UK from the building in Northallerton which began life as a carpet factory. 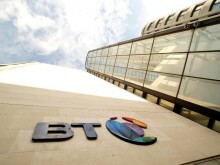 Nick Hale, managing director of BT Supply Chain, said: “News of jobs and expansion is always good news, but in a town which has seen its fair share of job losses in recent times it is a particularly welcome announcement. “The majority of these positions have been filled by local people, which is testament to the quality of the local workforce and a vital boost for the town’s economy. “These are exciting times to work in BT Supply Chain. Employees at Northallerton are experiencing lots of positive change with the recent addition of new business from dabs.com and BT Business Direct. “The roll-out of high-speed fibre broadband throughout North Yorkshire and across the UK is creating unprecedented demand for the electronic devices that enable people to access this new technology. The traineeship programme, aimed at 18-24 years old stuck in long-term unemployment or struggling to find work due to lack of experience, is already under development and expected to be introduced before the Summer. Involving a six week “warehouse operations traineeship programme”, candidates who successfully complete the course will get a formal accreditation at the end and also a very realistic chance of a permanent job offer. Five apprentices will also be recruited to begin their careers at the Northallerton depot on a two year rotational programme covering all areas of warehousing and logistics. Recruitment for these positions will begin after April with a start date in September. One of the recent recruits, Rob Wilkinson, who joined as a warehouse operative, said: “BT has given Northallerton a great boost by creating job opportunities that benefit local people. “The support and encouragement shown to all the new recruits has been exceptional and created a real culture of enthusiasm in the centre. As a result we are all working very hard to develop new skills and further our careers. A recent report, by Regeneris Consulting, shows that BT already supports 2,740 jobs in North Yorkshire through direct employment, its spending with contractors and suppliers and the spending of employees. Cllr Tony Hall, North Yorkshire County Council, said: "The Northallerton distribution centre is a valued employer in the town. This recent news of additional employment sends out a clear message that BT has confidence that Northallerton is a good place to grow its business. “Furthermore BT are sending out a message to young people that opportunities are available to get involved with a company at the cutting edge of technology."